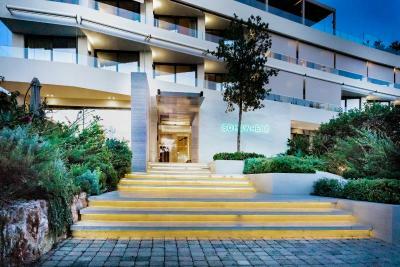 Lock in a great price for Somewhere Vouliagmeni – rated 9.5 by recent guests! Breakfast was good, and staff service is professional Bathroom is spacious and clean. It wasan excellent stay. Because the hotel consists of 11 rooms, the staff treated us like a family. The hotel provides a lot of special touches. 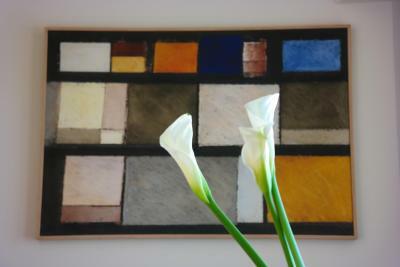 From an amazing breakfast menu to free airport shuttle to a complimentary bottle of wine and bowl of fruit in the room. I would highly recommend. Location very near to beach and restaurants and cafes. Staff were very helpful. The room was spacious with a balcony. Everything in this luxury, boutique hotel runs very efficiently. The service is amazing, all the staff are very helpful, polite and efficient. The rooms are comfortable, very clean and the beds amazing. The breakfast is excellent. position is great. I have stayed here a few times and always look forward to going back. Somewhere Vouliagmeni This rating is a reflection of how the property compares to the industry standard when it comes to price, facilities and services available. It's based on a self-evaluation by the property. Use this rating to help choose your stay! One of our top picks in Athens.Set in the exclusive, seaside suburb of Vouliagmeni, Somewhere Vouliagmeni features an outdoor pool and magnificent sea views. This boutique hotels also features gym facilities, a business center and conference facilities. Free WiFi is available throughout. 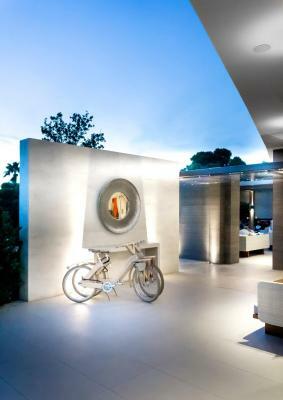 Elegantly designed, each room and suite at Somewhere Vouliagmeni features sea, garden or pool views. Some suites boast their own outdoor hot tub. Each room and suite features a private bathroom where free toiletries are available. Air conditioning comes standard. The property's restaurant serves breakfast, lunch and dinner made of high quality ingredients. Guests may enjoy custom-made cocktails right by the pool area. 24-hour room services are provided. The cosmopolitan area of Glyfada, boasting an array of high-profile restaurants and boutiques, lies within 3.7 mi of the property. Golf enthusiasts will be thrilled to find out that the state-of-the-art golf club of Glyfada is 5 mi away. Athens International Airport is at 16 mi and free airport transfer is provided. 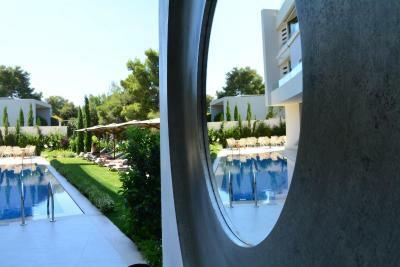 When would you like to stay at Somewhere Vouliagmeni? 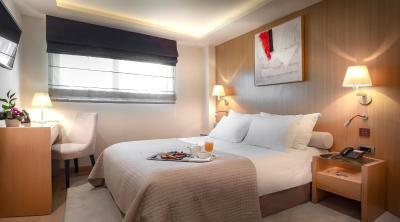 Spacious suite with flat-screen TV, free WiFi, fully stocked mini-bar, tea-and-coffee-making facilities, and work desk. Free airport transfer is provided. Elegantly decorated room with flat-screen TV, free WiFi, fully stocked mini-bar, tea-and-coffee-making facilities, and work desk. Spacious suite with free WiFi, work desk, flat-screen TV, fully stocked mini-bar, free tea-and-coffee-making facilities and bathrobes. It also features a balcony and hot tub. 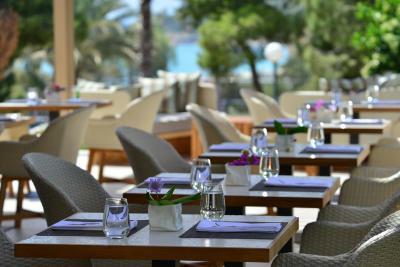 House Rules Somewhere Vouliagmeni takes special requests – add in the next step! Somewhere Vouliagmeni accepts these cards and reserves the right to temporarily hold an amount prior to arrival. Please note that one-way, free airport transfer is provided, either upon arrival or departure. 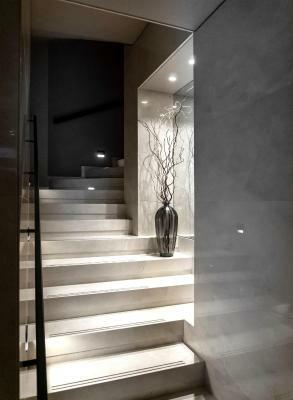 Guests who wish to use the service are kindly requested to inform the property 1 day in advance of their arrival details. Perfect Hotel. New, amazing and very nice location. I was a little disappointed with how loud the road noise was at night. 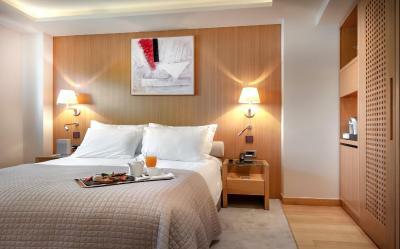 Lovely boutique hotel, nice modern rooms with excellent facilities and iPad to control most functions. The restaurant was excellent, both my dinner and breakfast was 1st class. We really had lovely days in this hotel ! Staff was amazing, breakfast fantastic, rooms, interior, exterior couldn’t be better ! Lovely place made with lots of love and good taste Ellina the assistant manager was extremely kind with lots of tips for us ! We’ll be back in March !!! We spent a wonderful weekend in our "smart" suite. High speed WiFi connection was provided, as well as an ipad for suite operation use and even a mobile key for our room. We would venture to say that the breakfast was ambrosial. There were both a la carte menu and buffet options. 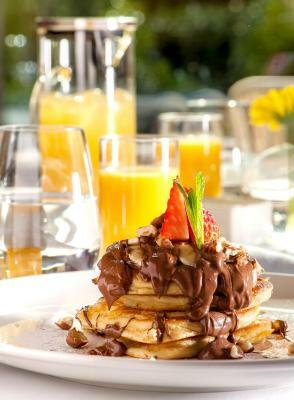 We definitely recommend the poached eggs and the pancakes! Last but not least, the staff was warm and friendly and the location was great, right in the center of Vouliagmeni, close to all restaurants and bars. Overall, an amazing experience!!! If i could rate this place 20/10, I would. Exceptional Place. I did not just want to take my family to anywhere, I wanted to take them to somewhere truly memorable. Somewhere was a truly amazing experience. The automated and super stylish rooms, the service, the attention to detail, the pampering, the food, the location, the vicinity!! Everything!!! Best resort we have been as a family. Staff, breakfast, the hotel, fantastic as usual!! The "garden view" consisted of a couple of orange trees on the other side of an awning, and then the street. It's possible that we were the only guests in the building, but they still put us in the smallest available room. We wouldn't have wanted to stay in it more than a night or two. Parking was on the street - we were lucky to find a slot nearby. Friendly staff. Very modern building. Nice shower/bathroom. 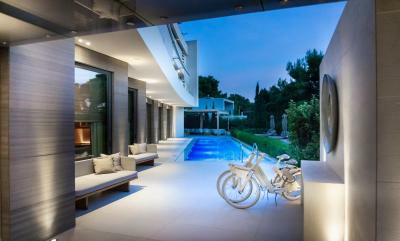 Property was very attractive - e.g., a nicely lit swimming pool (even though it was November!) We left before dawn, but they made us a boxed breakfast to take with us. Fruit plate and a bottle of wine greeted us in the room when we arrived. Airport was 30 minutes away. Very Nice hotel with great staff very helpful and kind attention for detail . Comfortabel suite and excellent restaurant. Location direct in front of the beach, Nice alternative for busy city of Athene.